Nicholas Urciuoli advises clients in all stages of complex litigation, including pre-suit counseling. He regularly represents property and casualty insurers in first- and third-party coverage disputes involving primary, umbrella, and excess policies in varied commercial insurance lines, including management and general liability. Nick has achieved favorable results for his insurer clients in diverse forums, including New York and New Jersey courts, on matters involving, for example, the duty to defend, the obligation to reimburse defense costs, number of occurrences, allocation, reinsurance, the notice condition and numerous policy exclusions. 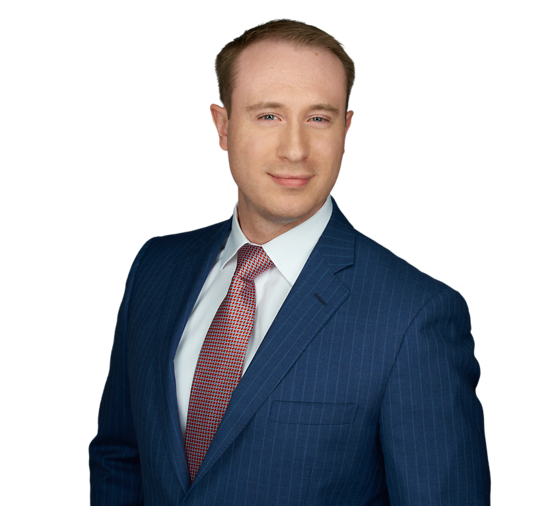 Nick’s coverage expertise is grounded in his rich insurance knowledge, as demonstrated by his designations as a Chartered Property Casualty Underwriter (CPCU), Associate in Reinsurance (ARe), and Associate in Claims (AIC). He is also adept at handling emerging coverage matters, including those related to cyber losses, and he holds a Certificate in Cybersecurity Risk Management from Harvard University’s VPAL. Nick served as a judicial law clerk for the Honorable Clarkson S. Fisher, Jr., P.J.A.D., Superior Court of New Jersey, Appellate Division during the 2011-2012 term. Before that, he interned for the Honorable Anthony F. Picheca, Jr., J.S.C., Superior Court of New Jersey, Chancery Division in the summer of 2009. While in law school, Nick was awarded Georgetown’s merit-based Law Prefects Fund Scholarship and served as a staff member of The Tax Lawyer law journal. Nick engages with his community by participating as a member of Morris Township’s Environmental Commission, a body established by New Jersey’s Municipal Land Use Law to advise and collaborate with the Township Planning Board in evaluating land use applications. He is also a member of Morris Township’s Americans with Disabilities Act Compliance Committee, as well as the Development Committee of the P.G. Chambers School. Represents insurers in high-stakes asbestos liability coverage actions involving hundreds of thousands of underlying claims and over $1 billion in alleged asbestos exposures. Achieved dispositive ruling based on application of pollution exclusion with respect to millions of dollars of environmental liability. Earned summary judgment ruling that insurer client owes no duty to defend additional insured in relation to an underlying workplace injury lawsuit. Successfully defended developer in various New Jersey forums, including the Law and Appellate Divisions, against challenges to supermarket project brought by competitor. Represents developer in New Jersey Law and Appellate Divisions in litigation involving land use approvals and applicability of municipal ordinances regarding a condominium project on the Hudson River.